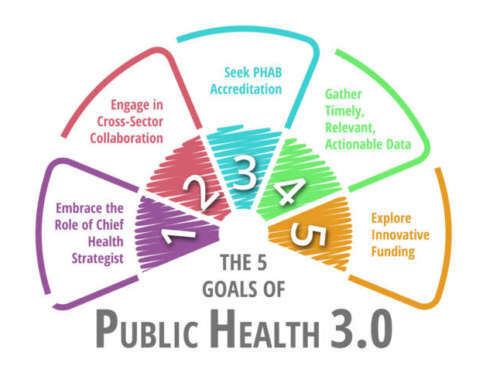 Our blog article entitled, “Public Health 3.0 or Public Health Modernization: What is it and What Does it Mean? (Part 2)” touched on ACEs, or Adverse Childhood Experiences, and how public health departments can strategically head off poor health outcomes by addressing the root cause (such as addressing ACEs) early on. 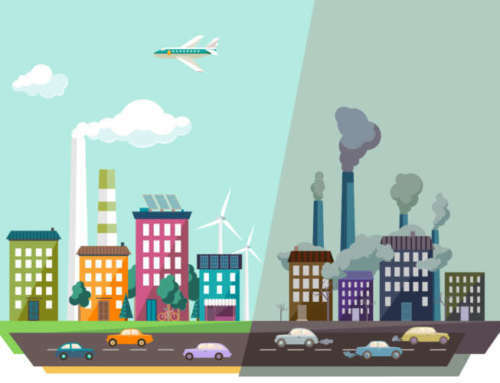 In March, I had the opportunity to attend a webinar on that topic, hosted by the Northwest Center for Public Health Practice out of the University of Washington (they host an excellent series of webinars, by the way!). The presenter was Karolyn Holden, BSN, RN, Director of Grays Harbor County Public Health & Social Services, Washington State, and her presentation was entitled “Trauma-Informed Practice – A Rural Perspective” (You can access the webinar slides here). Karolyn Holden shared Grays Harbor’s experience in learning about trauma-informed practice and coming to grips with the widespread influence of ACEs on their community’s health. Grays Harbor educated themselves and changed their approach in addressing their community’s health. Here I’ve compiled a bit of the information Karolyn shared. Part 1 of this article will focus on the science behind a trauma-informed approach and the reasons why it is effective. Part 2 will focus on how Grays Harbor employed their trauma-informed approach and offer practical steps for how you can too. NEAR Science says that stressful events that happen in our early years of development affect us in ways that last our entire lives. Science tells us that from our birth, our brains are growing and adjusting to our environment. Our experiences get wired into our biology. 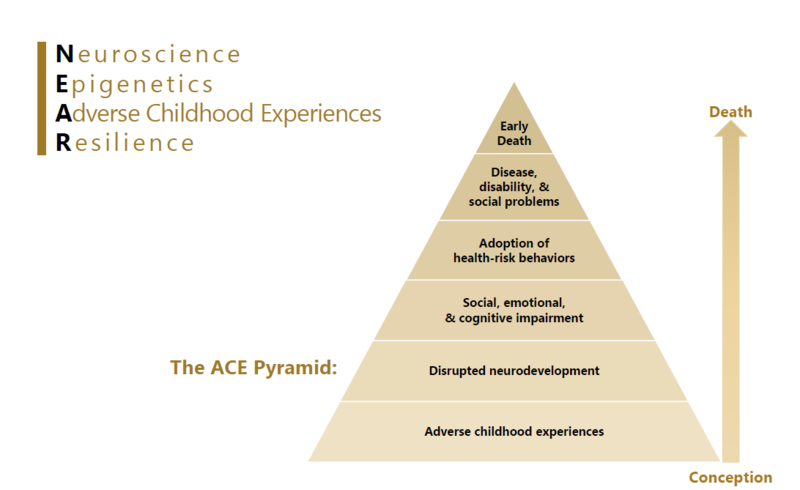 The Near Pyramid demonstrates how Adverse Childhood Experiences can affect later life. During Karolyn Holden’s presentation, webinar attendees were then asked whether they used NEAR Science and the ACE Pyramid regularly. It was surprising to see that almost half of those asked responded that they aren’t employing NEAR Science or the ACE Pyramid yet, especially since these are such powerful tools for health departments to use in addressing root causes (or enacting upstream interventions) in their community. 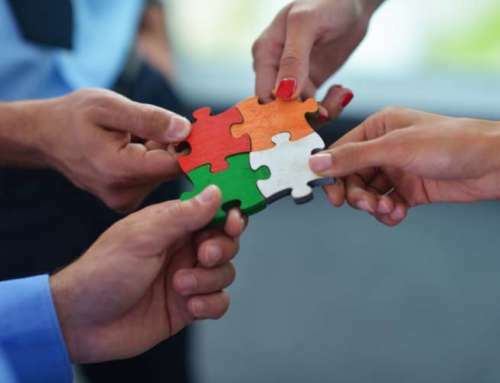 If you find yourself playing any of these roles, you will often find yourself caught in a destructive cycle of alternating between the three roles with the other players involved. 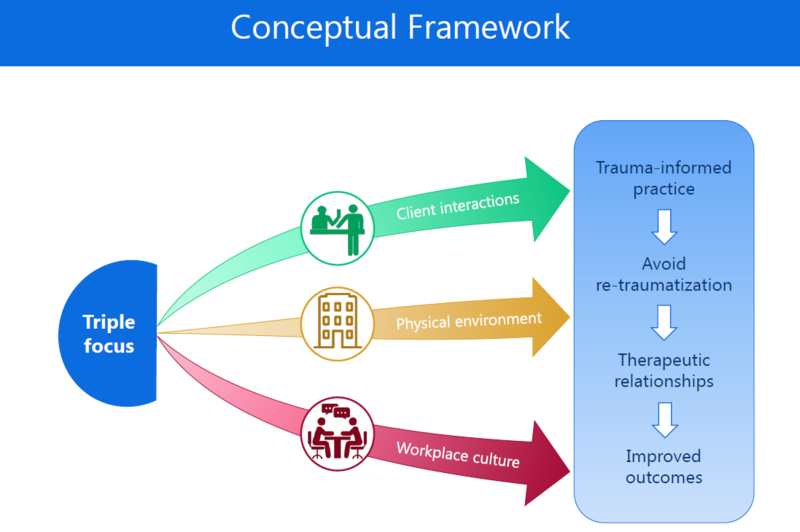 Healthcare workers need to find a position outside of the triangle to interact with the trauma-affected individual in order to effectively address the issue. Grays Harbor shared that they have 38% of adults aged 18-64 with elevated ACE scores greater than 3 in their community, compared to the Washington State Average of 26%. This data gave them an epiphany; they realized that anybody could be affected by a childhood trauma, not just children or those displaying immediately obvious signs. 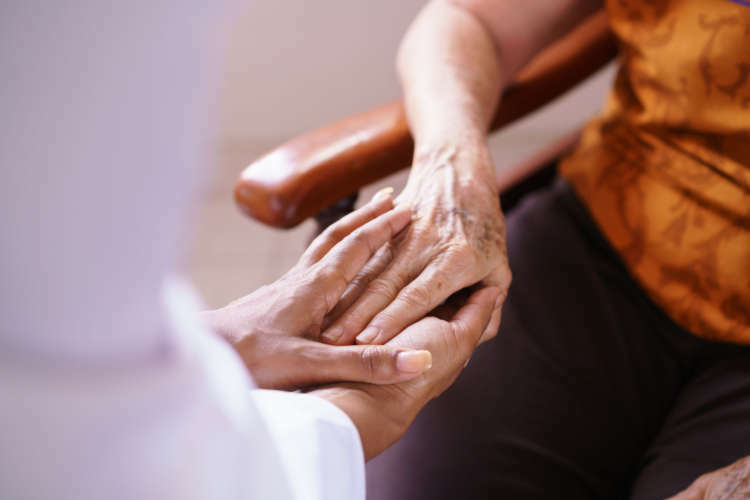 Grays Harbor realized that in order to effectively address health concerns in their community, they needed to come at the issue from a trauma-informed perspective. …we operated under the assumption that anyone could be living with the effects of unresolved trauma? … we considered the possibility that the problematic behavior we observed might be related to that? … we used those assumptions and insights to inform how we engage people and interpret the meaning of their behavior? “Ensuring safety is a really foundational construct in trauma-informed work. As we use it in this context, the definition of safety is broad… we consider emotional, psychological, and moral safety.” — Karolyn Holden. This “Triple Approach” is based in deep respect for people and preventing situations that push people into behaving in ways they are ashamed of. Grays Harbor took everything they learned about trauma-informed practice and put it into action. 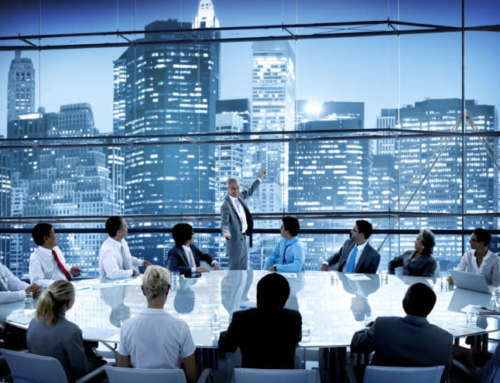 They began to ask themselves, “Where does the rubber meet the road?” and were willing to make changes in their client interactions, physical environment, and workplace culture. Part 2 of this article will address those changes and offer practical tips for your health department to begin practicing being trauma-informed. Karolyn Holden’s webinar presentation was incredibly informative and highly useful. You can view Karolyn Holden’s full presentation recording here (it was excellent!). 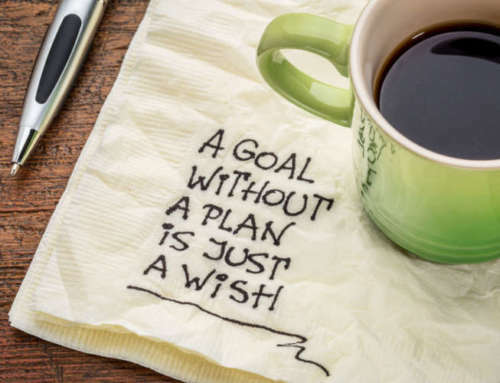 To learn more about how Nightingale Notes EHR empowers your health department to evaluate ACEs in your community so that you can begin employing a trauma-informed approach, contact us today!